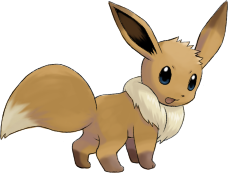 Hey, I am Eevee and this is veekun and it's a Pokédex. You probably want to type into that box in the top right, or maybe just start browsing. Enjoy my personal site, and those of the myriad other contributors. Toss some ₽ my way, to support veekun development. Stop by the IRC channel (instructions) to chat with some cool nerds and complain when the site is broken. The forums are dead quiet. No one is posting. A lone tumbleweed rolls by. Maybe you should do something about this.